Artist Larissa Nod. 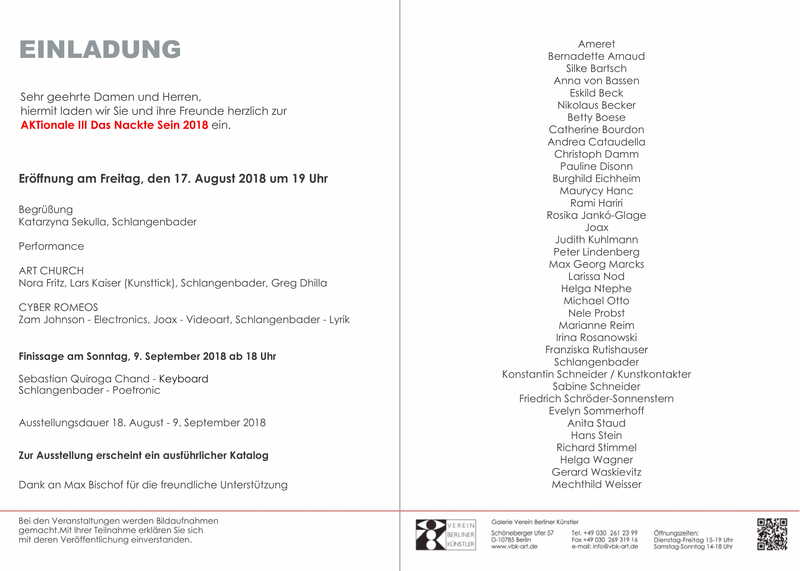 Exhibition "AKTionale | Das Nackte Sein III/2018" / VBK, Berlin. 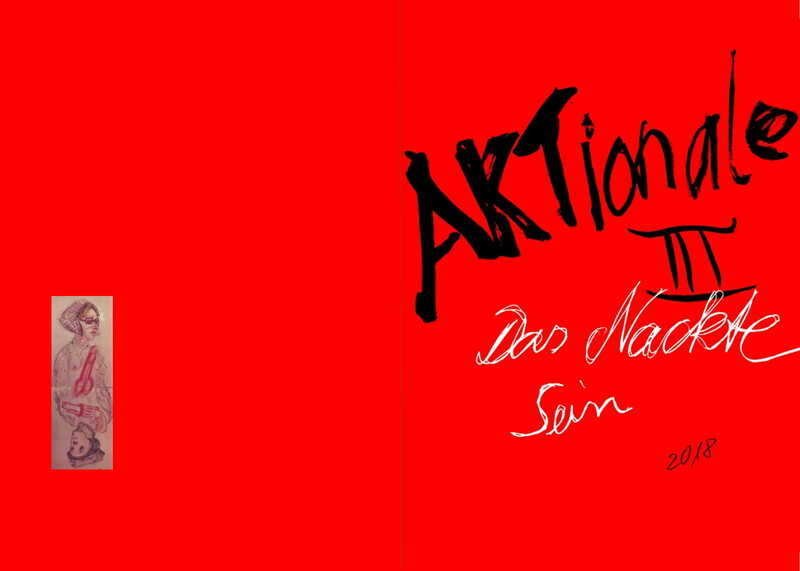 The AKTionale format is an exhibition series that presents current positions on fixed themes and contents every four years, as a result of present-day events, life situations in which one feels physically and psychologically naked and helpless or even happy, content. Almost everyone experiences incisive, disturbing and traumatic experiences starting with birth, which can be completely broken but can also grow inwardly and in which socio-philosophical as well as - political perspectives completely change. In the exhibition, 37 artists will present their individual examination of the topics and make the timeliness of the processes visible.